I couldnt blog regularly since some time. Guilty !! Reasons being hectic schedule in my dental clinic and my son's studies. 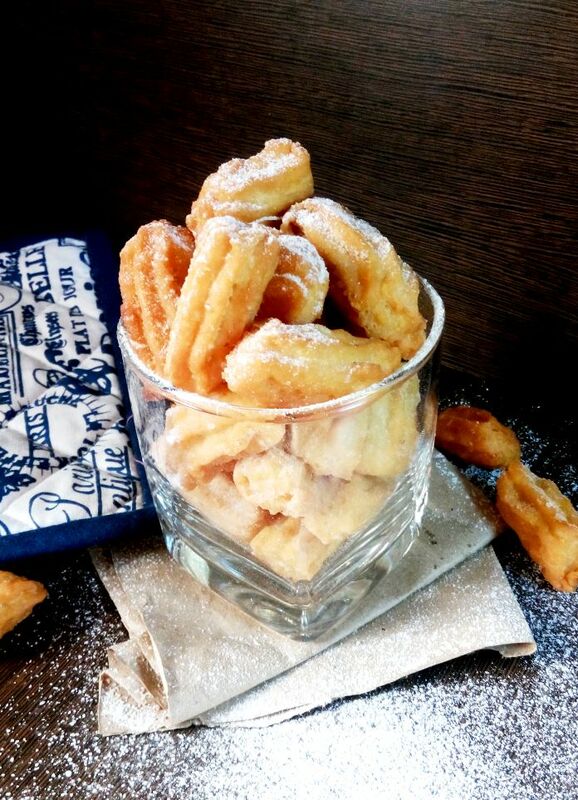 But come Karwa chauth and I couldn't stop myself from posting an easy and yummy Spanish snack ....Churro bites. How long can I stay away from my passion FOOD !! Yes Churro bites....a quick and different version from original big spiral Churros. Try out this Spanish street food as a Diwali snack along with all traditional sweets. I am sure your family and friends will love it. Last week I had a kitty party at my place. I was with my friends and doing what I love the most....cooking. A happy meal experience that it was! All aligned towards friends and food. And no it was no hashtag foodgasm. It was a true foodgasm ...a soulful experience of eating with friends. This experience was taken to another level by this Spanish Tapas / snack served by me. It was sweet yummy easy to make and fancy too. So friends ...go ahead make these Churro bites this season and enjoy ! Take a thick bottomed pan. Add milk, butter sugar and salt to it. Place it on medium heat and bring it to boil. Once it reaches boil, take it off heat .Add vanilla eassence and all purpose flour to it. Keep mixing with a spatula till you get a s,mooth mixture with no lumps. Take vegetable oil in a thick bottomed pan.Let it heat on medium flame. Transfer all Churro batter in a piping bag with a large open star tip. Pipe 1 to 1.5" dough out over hot oil and using scissors ,cut the dough so as to drop over the ocil. Remember to make churros in small batches to avoid burning. 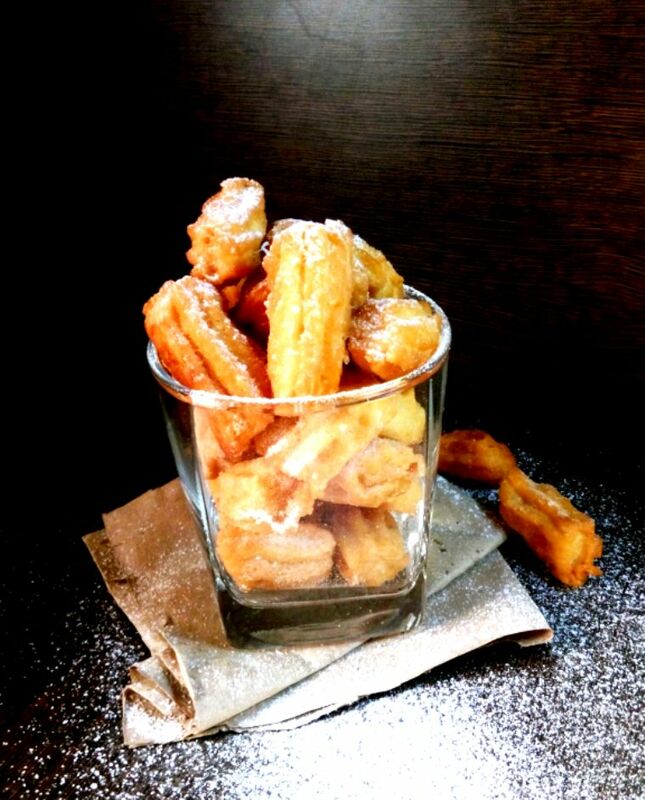 Allow churros to fry until golden brown by stirring occassionally. Then take them out of oil and place on absorbent paper to drain excess oil. 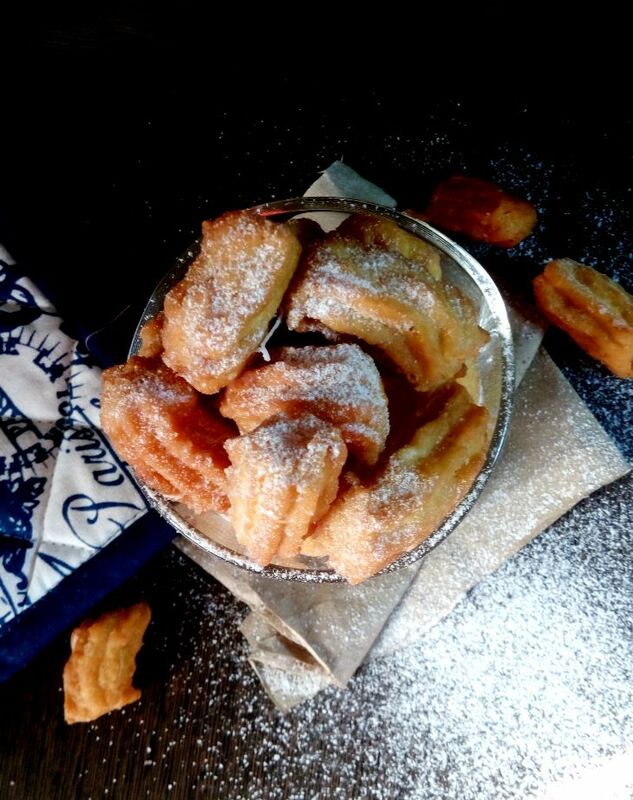 Do this for the entire churro batter. In a small mixing bowl,add cinnamon powder and sugar together and mix well. Coat churros with this mix. Serve warm .